Windshield wipers are an integral part of vehicle safety. 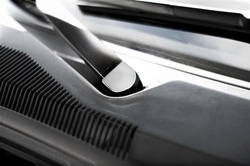 Often overlooked, the rubber compound on the wipers is constantly exposed to sunlight and harsh elements, which can cause degradation and cracking. A damaged windshield wiper can hamper bad weather visibility, causing serious safety issues. If you are in need of replacement windshield wipers, it’s smarter to look at models that are top-rated for performance. Often found at auto parts shops, these top five replacement windshield wipers are excellent choices for the worn blades on your car. Used as original equipment on many late-model European cars, the Valeo 900-Series Ultimate Wiper blades feature excellent performance thanks to its range of technologies and innovations. The flat, hinge-free design allows for even pressure across the entire reach of the blade, doing away with the spotting and streaking that plague many standard wipers. The integrated aerodynamic spoiler ensures that the wipers remain firmly pressed against the windshield even at higher speeds. The rubber material used in the blade is exclusive to Valeo, and provides clean, quiet wipes year after year. 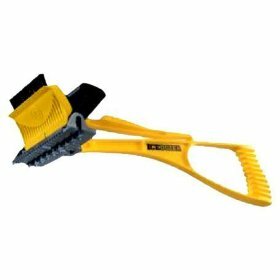 Finally, due to the hinge-free construction of this wiper system, these blades can be used year-round even in snow and ice. Not all windshield wipers share the same design. Some of the newer more effective models sport a hinge-free design which are more aerodynamic and resist freezing up in the winter. Though different manufacturers use their own designs to ensure that the wiper stays pressed against the glass, the end effect is that these wipers deliver superior windshield clearing ability. 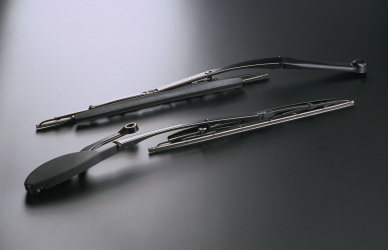 While traditional hinged wipers can lift off the windshield at higher speeds, hingeless designs channel the air to stay glued to the windshield surface. A windshield wiper exists primarily to remove precipitation and debris from your windshield. This is done to clear your vision so you can see where you're going in any weather. When shopping for a replacement windshield wiper, only consider the models which can easily clear your windshield. A wiper which cannot effectively clear water from your windshield is a useless wiper. This can happen for a variety of reasons with older wipers. The rubber compound wears down with use, and eventually hardens up and begins to crack. The pieces used to apply uniform pressure to the wiper blade itself can lose tension over time, or can become damaged with rough handling. The result of this is streaking and messy wiping. If you live in an area that gets icy winter weather, you've probably experienced frozen wipers before. Not only is this an inconvenience, it can lead to a safety hazard as well. A wiper with frozen hinges can not conform to the contour of your windshield, and will fail to clear your windshield of vision-obstructing materials. It's best to avoid this altogether by using a hinge-less windshield wiper. This means you can leave a single set of windshield wipers on your car year-round and not have to worry about swapping sets for the cold seasons. Obviously, spending $50 for a single windshield wiper is silly. On the other hand, you'll most likely regret your purchase if you spent $5 on a wiper which ends up streaking and becoming intolerably noisy after a few uses. As with everything else, you don't want to over- or under-spend. Since windshield wipers are considered a wear item, some people may choose slightly lower-priced options over ones that perform better. Our take is that because windshield wipers constitute vehicle safety, it's important not to cut corners. 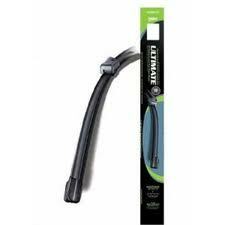 It is in fact possible to choose an affordable, high-quality wiper like our #1 pick, the Rain-X Latitude. Best windshield wiper blades reviews 2012 is necessary because most drivers don't ever think of their wiper blades unless it's raining. However, it isn’t the way it should be. Understanding the way they work, what kinds of the best windshield wiper blades are available as replacements, and the consequences of not paying attention to them, can't hurt and it might just save you money. Best windshield wiper blades, while fundamental in construction and concept, are vital to the safe operation of a vehicle in bad weather or hazardous conditions . Best windshield wiper blades are a strip of rubber with a stainless steel spine attached to a superstructure or frame made of painted steel. The blade is attached to an arm which connects to a series of rods, known as a wiper transmission, which is powered by an electric motor. Energy from the motor is conveyed through the transmission to the arm and then the blade. The blade moves across the windshield to wipe the glass clear of rain,snow or occasional liquid road debris like oil or lost cargo. The basic blade is a single edged rubber strip, but other versions are available. There are multi-edged blades that claim to clear the windshield more thoroughly, a claim made by the double blade as well. The frame of this blade holds two wiping surfaces. A winter wiper blade is usually made of heavier plastic or can be a blade which has the superstructure covered by fabric to prevent snow and ice from accumulating and freezing it to the windshield. A consumer has the option of replacing just the rubber, which is called a refill. Or the blade and frame can be replaced. An exact fit blade eliminates the need for adapters to hold blade to the arm, which is often the case with universal blades. 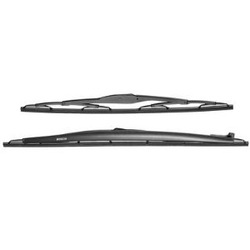 It is necessary to get some knowledge of best windshield wiper blades. That is what best windshield wiper blades reviews for. 1. I was told by two different auto parts retailers here in Hawaii that I would have to get my wipers from the dealer. After doing some homework and reading other reviews, I decided to purchase these blades. THEY ARE EXACTLY THE SAME AS THE MERCEDES OEM blades. They were packaged beautifully and showed up at my door a few days earlier than expected. Installation? It took me longer to get them out of the box then it did to install. Very happy with this purchase. Like the title says, my vehicle is a 2009 C300 Sport. 2. No wonder MB uses these as OEM. These wipers are amazing! I have never had an install as simple as this. If your car uses this wiper stock, then do not change, use these! 3. While these only come in the average Bosch packaging as opposed to the lovely MB box, they are exactly the same part and work just as well. Bosch supplies the OEM wipers to the factory and then MB repackages them. Don't pay the dealer $55-$70 for the identical wipers when you can easily purchase them on here and install them yourself... it's easy. I bought two pairs to stock up so I didn't have to wait on shipping for the next time. Bracketless wiper blades, also known as beam blades, are designed without the metal or plastic brackets, joints or hinges of conventional wiper blades. So snow and ice have nowhere to build up. In addition, the patented design of Bosch Evolution features dual precision-tensioned steel springs that distribute more uniform pressure along the entire length of the blade for exceptional all-weather visibility. 1. 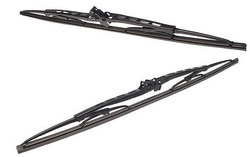 I ordered the Bosch 19" and 21" wipers for my 2002 Honda Civic as a part of a Buy One Bosch Blade Get One Free [...]. I probably would've never considered trying Bosch windshield blades otherwise, but I'm so happy I did. With my previous blades that I got during an oil change at a quick-lube shop, I got a lot of streaking and squeaking whenever I used them. Every time I encountered a rain storm, I had to abide the same consistent, annoying noise if I didn't want to compromise my own safety. It was very difficult to bear. Back to the blades: How do they function? Beautifully! I streamed washer fluid onto my windshield and it cleaned it away with no streaking and no noise whatsoever. What better testimonial can I give than I decided to buy another pair for my partner? They work wonderfully - get them now! It's easy to forget that wipers are a safety feature--until you end up driving in heavy rain or snow, or are blinded by glare. An unclean or obscured windshield is a true hazard. Just as you don't know the washer fluid tank is empty until it no longer squirts cleaner, drivers typically don't realize that the wipers are shot until the visibility is truly limited. And then it can be too late, as many accidents are a result of poor visibility. Wiper blades have a finite service life, as they perform a hazardous duty in harsh conditions. Dirt, debris, and road grime abrade wipers, and sunlight breaks down their rubber edges. Beyond visibility, it is important not to wait too long to replace a blade, as a torn wiper blade can allow the wiper arm to rub against the glass, possibly ruining the windshield. The good news is, based on our testing, that you don't have to spend a lot of money to get good performing windshield wipers, but you might need to replace them every six months or so. To get the most from your existing wipers, inspect them periodically. Lift each wiper arm off the glass and run your finger along its rubber edge. If the rubber is rigid or chipped, or produces nonstop streaking, you need new wipers. If the wipers are in decent physical condition but not clearing the windshield effectively, clean them. Simply put windshield washer fluid or mild dish liquid on a damp sponge or rag and wipe debris off the rubber and the windshield where the wiper rests. You might be rewarded with a couple more months of a clear windshield without spending money on replacements. When the time comes for new blades, remember to replace them in pairs. If one is worn out, its mate can't be far behind. Don't forget to check the rear wiper, if your vehicle has one. Even though it may not get as much use as the front wipers, it is exposed to the elements. Windshield wiper blades come in many sizes, even on the same car. Look in your car's owner's manual, measure the blade, or ask at an auto-parts store for the proper fit. It may be tempting to buy replacement inserts to save cost, but installing a new insert requires deft use of needle-nose pliers. It's often more convenient to replace the whole blade assembly--just pull the old wiper off the metal arm and push the new one on until it's tight. (You might need a small screwdriver or hammer to tap the old blade off.) Our research shows that most car owners replace the assembly, rather than just the blade. All wiper blades are marketed with great promise, and it can be difficult to sort through the claims and hyperbole. In our testing, we have found that some of the best blades are among the least expensive. When new, we see that all of the tested windshield wipers provided very good or excellent performance, but most quickly degrade after a few months of regular use. In fact, only one wiper performed consistently for six months. Depending on the model, deterioration showed up on the windshield as streaking (leaving lines of water behind), smearing of the water (instead of clearing it), or missed areas of wiping. We conducted an exhaustive test of 15 models of windshield wipers on 185 staffer members' cars. About half those cars had wipers that needed replacing, showing that drivers often don't notice the slow degradation and leave wipers on longer than they should. All wipers were evaluated in the real world and in a special lab that simulates varying rain conditions. In addition to performance, we also evaluated the wipers on ease of installation and removal. All of the cars in our test had a common hook-type mount, in which the old wiper is simply pulled off of the metal wiper arm and the new one is snapped into place. The tested windshield wipers included six beam-blade models. Beam blades usually cost more than conventional wipers, but overall we didn't see a notable advantage in regular use. These Original Equipment (OE) wiper blades are designed by Bosch for direct fit and dependable wiping performance. Each blade incorporates a fully enclosed metal tension spring and a precision-cut natural rubber wiping element for premium wiping performance and crystal clear visibility. Contains a set of two blades, one for driver side, one for passenger side. The 2012 Chevrolet Sonic, General Motors’ popular subcompact car, is being recalled to fix a potential fault with the windshield wiper hose. According to the official recall posted on the National Highway Traffic Safety Administration’sSaferCar website, the recall affects 44,668 cars made between May 5, 2011 and February 24, 2012. The problem appears to surround a faulty washer hose which could separate from the washer fluid reservoir. When this happens, the car’s windshield washer is unable to pump washer fluid to the windshield, meaning it cannot be properly cleaned. A continued lack of washing could result in the windshield becoming difficult to see through, increasing the risk of a crash. GM has said that the recall will commence around September 7, and will notify drivers if their cars are affected. The remedial work, essentially a modification to secure the washer hose to the reservoir, will be undertaken by GM at local Chevrolet dealers at no cost to owners. This Car Windshield Wiper is made of special rubber which is stronger, more durable and more thermal resistant than regular rubber. If you are disappointed when your wiper blades begin to streak, smear and chatter a short time after installation, then you need to install this Rubber Car Windshield Wiper. The improved flexible spine design insures maximum screen contact. It is a good choice for you. 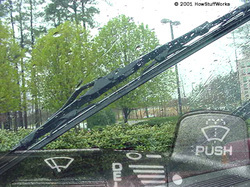 The fi­rst windshield wipers were operated manually by moving a lever inside the car back an­d forth. Today, most of us take our electric windshield wipers for granted. The wipers faithfully keep the windowclear, moving back and forth across the windshield countless times as they sweep the water away. On their highest speed, they move impressively fast, sometimes shaking the car from side to side. What kind of a mechanism can move the wiper arms so effectively and so reliably? Windshield wipers are found on car windshields, some car headlights,airplanes and even on the space shuttle. In this article, we'll take a look inside windshield wipers, learn about the blades and the controls and then explore a new rain-sensing wiper control system! windshield washer fluid can help your wipers remove dirt from the windshield. Mostly water, washer fluid may include soap and then it definitely enhances its cleaning ability, alcohol to prevent streaking or antifreeze to keep ice from forming in the washer nozzles. When driving under dusty or slushy conditions, you may have to use your wipers frequently, making it necessary to check the windshield wiper fluid level. Here's the tips. 1.Park your car. Ideally, you should do so on a level surface to help the engine bay cool. Wait for a few minutes, until the car hood is cool enough to rest your hand on. 3.Look for the washer fluid reservoir. On most cars, the washer fluid reservoir is located at the back of the engine bay, near the base of the windshield. The tank is usually translucent, allowing you to see whether there is fluid in the reservoir or not. 4.Check the wiper fluid level. Many washer fluid reservoirs have marks to show the fluid level. If the tank is less than half-full, you'll need to refill it. 5.Uncap the washer fluid reservoir. The reservoir cap usually is designed to screw on and off. 6.Add washer fluid until the reservoir fluid level reaches the "full" mark. You may want to use a funnel to avoid spills. Once you've refilled the tank, replace the cap and close the hood. 7.Turn the car key to the "on" or "accessory" position. This will let you test the washers' performance by turning on your windshield wipers and then the washers. The washers should deliver a steady stream of fluid; if not, you may have to clean the washer nozzles and lines. Use only the kind of washer fluid recommended in your owner's manual. In a pinch, you can use ordinary water as washer fluid; however, it may allow ice to form in the fluid reservoir, nozzles or lines in wintertime. The squeegee on your windscreen wiper blades will deteriorate over time from use and environmental factors. Sand, mud, dust, acid rain and even the sun's ultraviolet light will degrade your blade. Salt from seaside locations or winter driving can weaken frames. Car waxes and exhaust also contain rubber-deteriorating oil. Check your wiper blades regularly for signs of wear. Even when deterioration isn't clearly visible, wipers can develop common problems such as streaking, skipping, chattering, wearing and splitting. Tree sap, road tar and other foreign substances can collect on either the glass or the blade causing streaking. Lack of use can cause the blade to curve resulting in skipping. 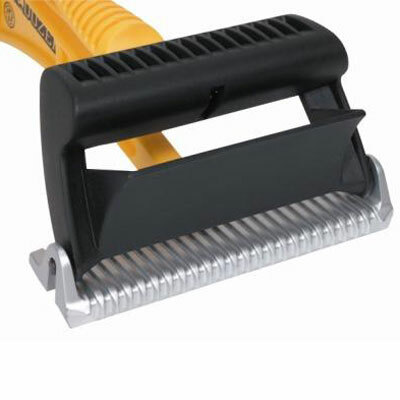 Flexibility by flexing the rubber squeegee back and forth and ensuring it conforms to the shape of your windshield. Battery. Test and replace old or weak batteries. Be sure to check the water level of batteries with removable cell caps. If the battery is more than three years old, have it tested during each maintenance service and if it’s more than five-years-old, consider replacing it due to age. Brake fluid. Low brake fluid could indicate excessive brake wear or a fluid leak. Dirty brake fluid that is dark colored like coffee indicates contamination or moisture. A thorough inspection of the brakes and flushing of the brake fluid is probably needed. Power Steering fluid. Low power steering fluid can cause damage to the power steering system and dirty and/or burnt power steering fluid can lead to premature power steering failure. Windshield wipers. 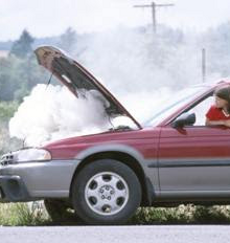 Don’t leave home without fresh windshield wiper blades and the “forgotten” fluid, windshield washer fluid. Fresh blades and windshield washer fluid will help to remove road dirt and insects from your windshield. Use pre-mixed fluid, not water from a garden hose. If you are looking for a pair of Auto Windshield Wiper, this Car Dedicated Rubber Windshield Wiper Set 2Pcs for Audi A6L is perfect for you. With Best Windshield Wiper Blade, this Auto Windshield Wiper is durable enough and it can be used for a long time. You can drive safely in rain, snow and many other conditions. 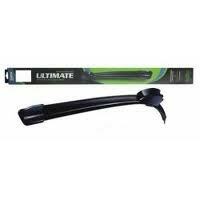 Durable Windshield Wiper can be also a best gift. Come on, you can't miss it. What Size Windshield Wiper do I Need ? What size windshield wiper do I need? It is a good question. There are many different size windshield wiper,or say, wiper blades, for different type of car. Some advance cars even ask for different kind of windshield wiper in the driver side and in the passenger side. You cannot simply use your eyes to estimate which windshield wiper is fit for your car, it may easily make mistake. You should know everything about your car thoughtfully, even the year it was produced. Choosing the right size. You may think that it is easy if all the same size car use the same windshield wiper. But actually it is not the case. The car manufacturers improve their cars year by year, so it is ridiculous to apply the same wiper blade for most the same size car, even the same brand car produced in difference years. The best way to determine which wiper blade fits your car is to consult the Owner's Manuel. If you miss the connection to the Owner's Manuel, you can remove the existing windshield wiper and take it to the store. The store that sells the wiper blade usually have the handbook for any kinds of windshield wipers, so they can figure out what actually you need and give you the right one. Not all models of vehicles have identical wipers. Rear wipers are typically smaller. Remember that driver’s side blades may be shorter than passenger’s side blades. When you buy a set of windshield wipers, their size may be different. Be sure to match them up to the right positions on your car. For average cars, wiper blades run about 20″ to 22″ in length> Some foreign cars can have very small blades. Changing a windshield wiper generally means replacing the entire arm, not just the rubberized insert. 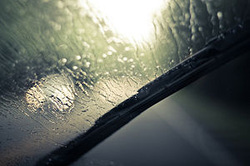 Using a protective sealant against rain and taking your car to the car wash will prolong the life of your wiper blades. Once you figure out what size wiper blades you need for your current vehicle, you should mark it down and keep it in the glove box. When you go to purchase new blades in a few months, which is about how long a pair of wiper blades will last, you won’t have to guess again.